Size: approx. 20-30 mm. Photo: 09/27/11, 11 pm. Seemingly a very rare find. This assassin bug is Doldina interjungens. It came to the light of our living room window. 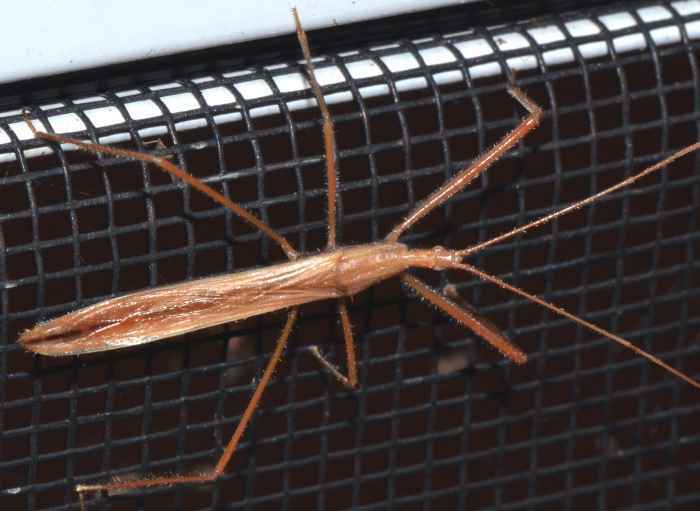 It has a characteristically skinny body (aspect ratio 5.5-6) and long antennae. This specimen is likely an adult female.